Towering high to the ceiling, this terrific work of art will make any room stand out! 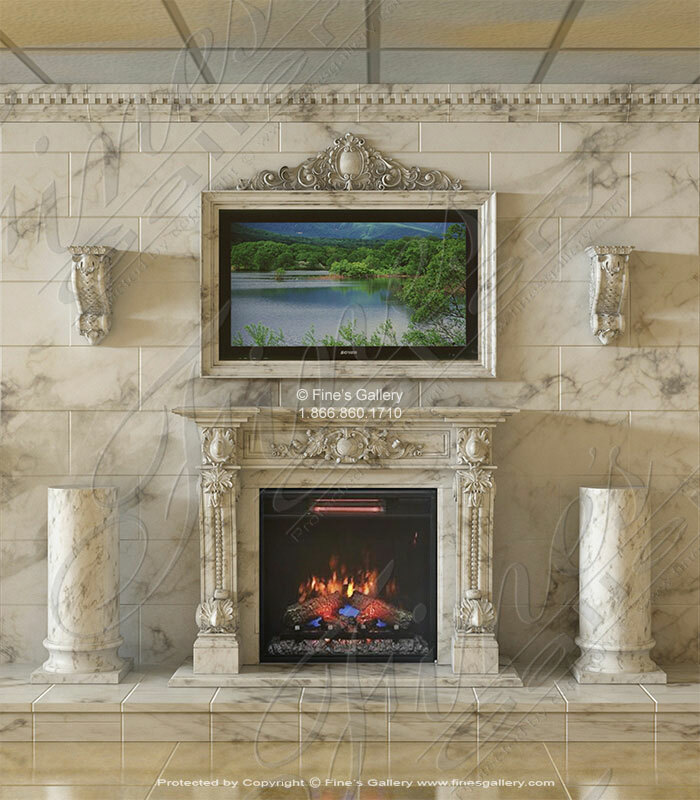 Full of classic nature themed beauty, this glamorous fireplace is hand carved from a delicate beige marble. Contact ustoday for a customized quote. Decorate your cherished space with this marble masterpiece. Elegance is on display with every flawless detail of the towering overmantel and mythical artwork. Fine marble in cream tones makes this an exquisite piece to own. 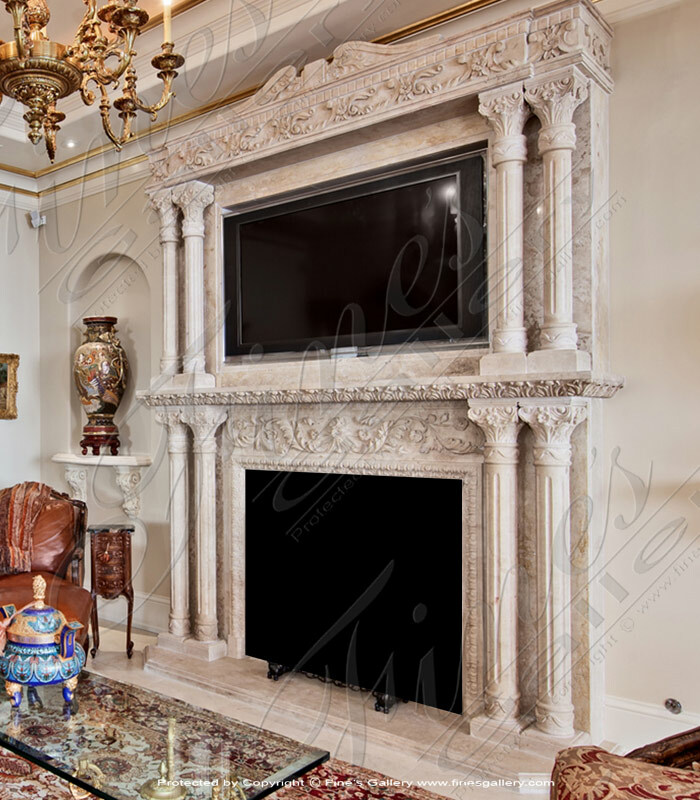 This Luxurious Ornate Marble Lion Over Mantel creates an air of beauty and drama within the setting. Lavish hand carved lion head and floral decor add to the impressions of intrigue and enchantment. Installed at a Port Royal FL Mansion! 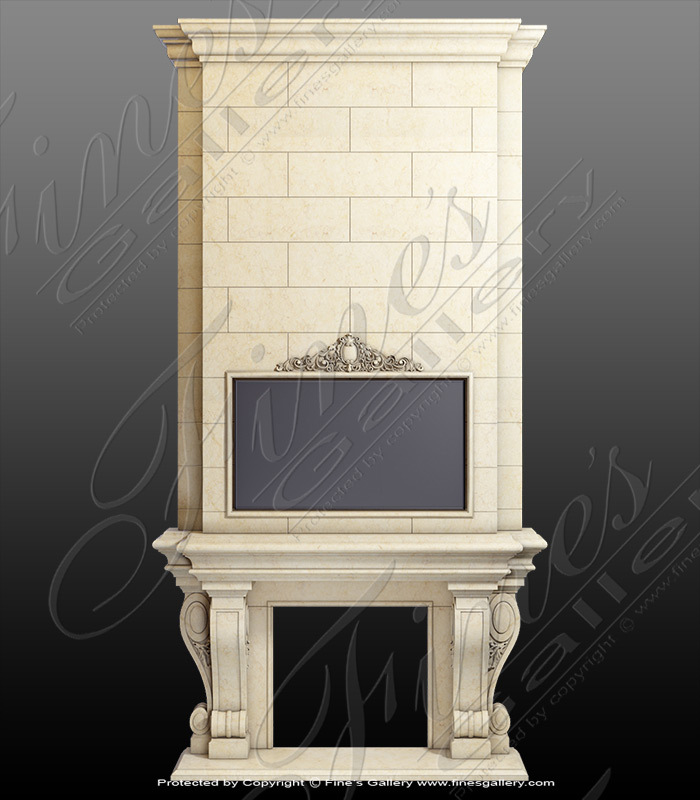 Add the ultimate touch of luxury with this stunning multi-columned grand marble fireplace and TV recessed overmantel! Immaculate hand carved artistry and ornate Corinthian columns create feelings of unforgettable enchantment. Please call for assistance. 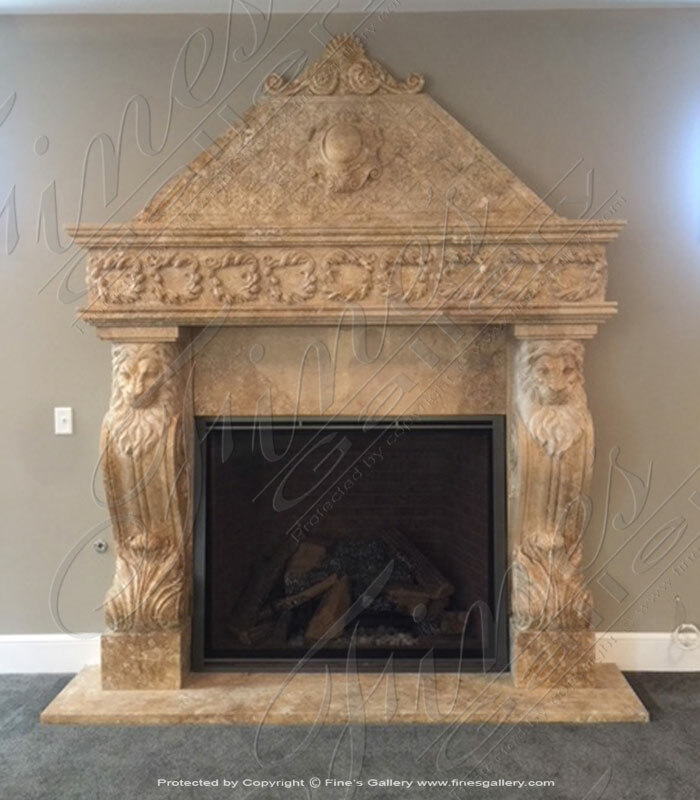 This customized marble mantel and overmantel is available to be sized for your application. We have the largest selection and most experienced designers. Contact us today for a quote at 1.866.860.1710. 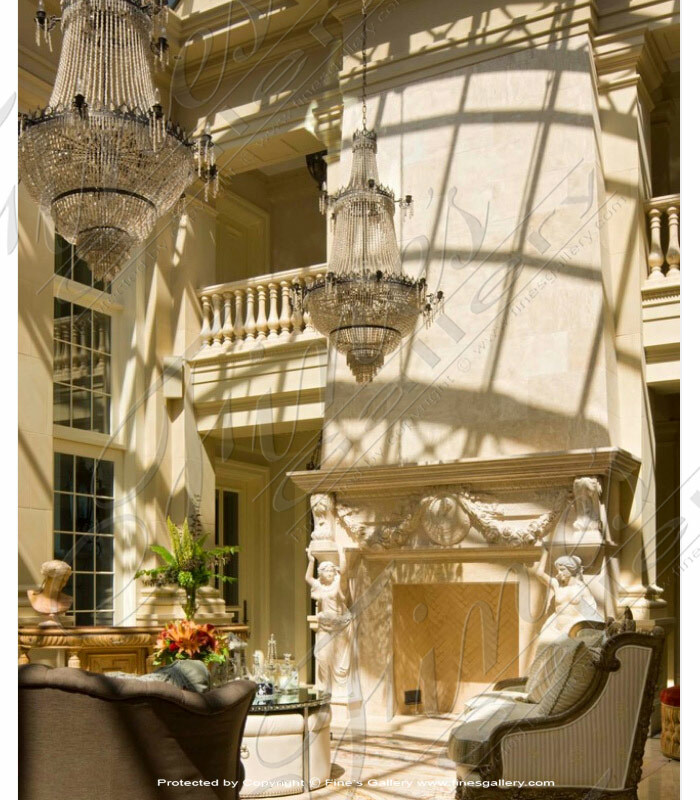 This luxurious custom carved overmantel was supplied along with matching natural stone balusters throughout this mega mansion. Designed for this residence at over 22 feet tall and just under 12 feet wide. Accept no imitation of this fine artwork. 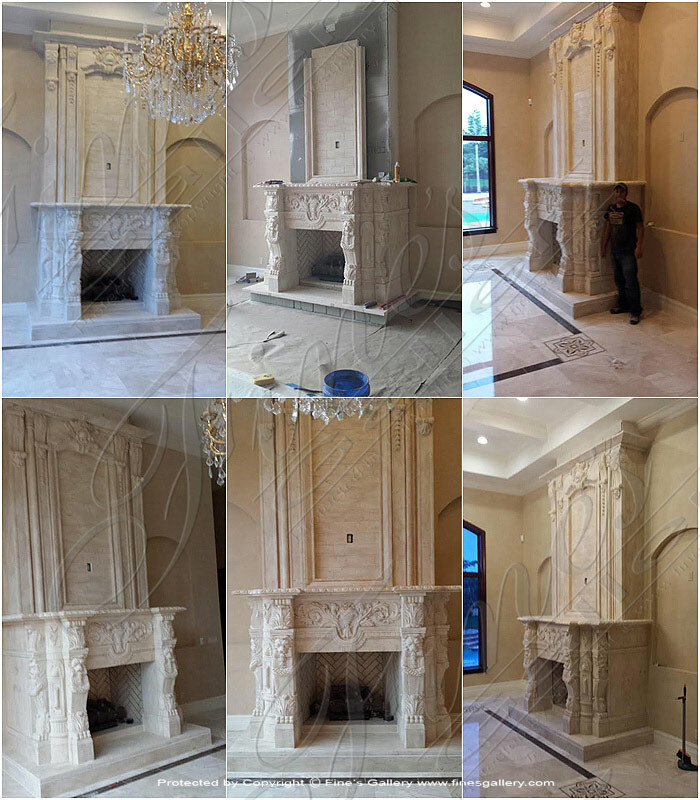 A beautiful custom designed hand carved marble mantel and over mantel installation in South Florida near Miami Beach, FL. Majestic Antique Gold Fireplace. Deep gold travertine all hand carved with deep relief. Featuring a unique shaped overmantel with floral pattern and shell motif finial. In production. 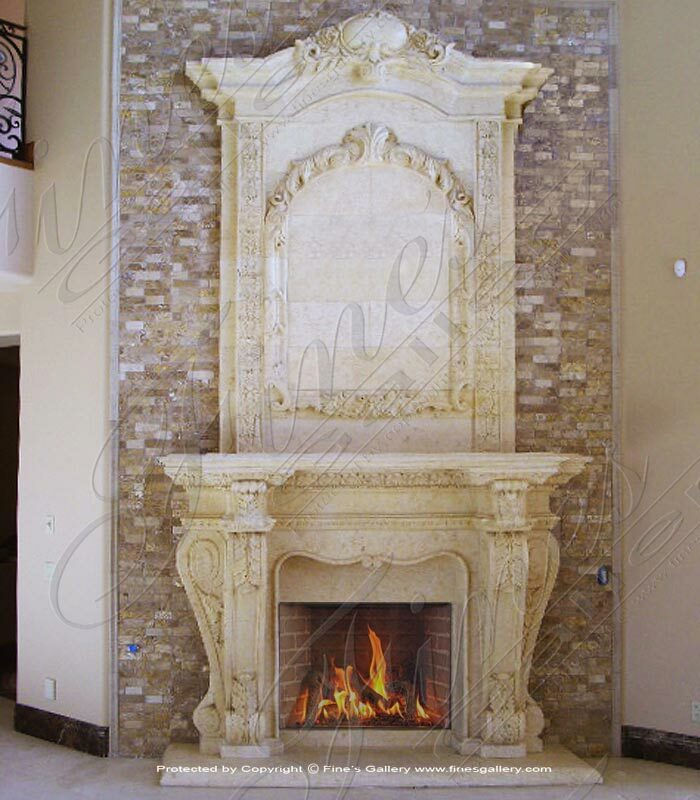 Regal Cream Overmantel. 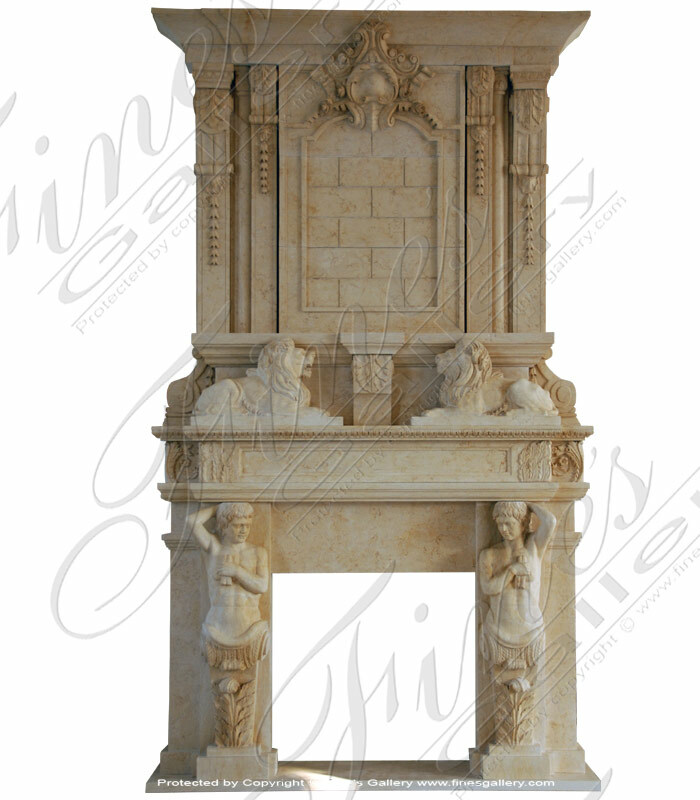 A traditional style light egyptian cream marble fireplace and overmantel. 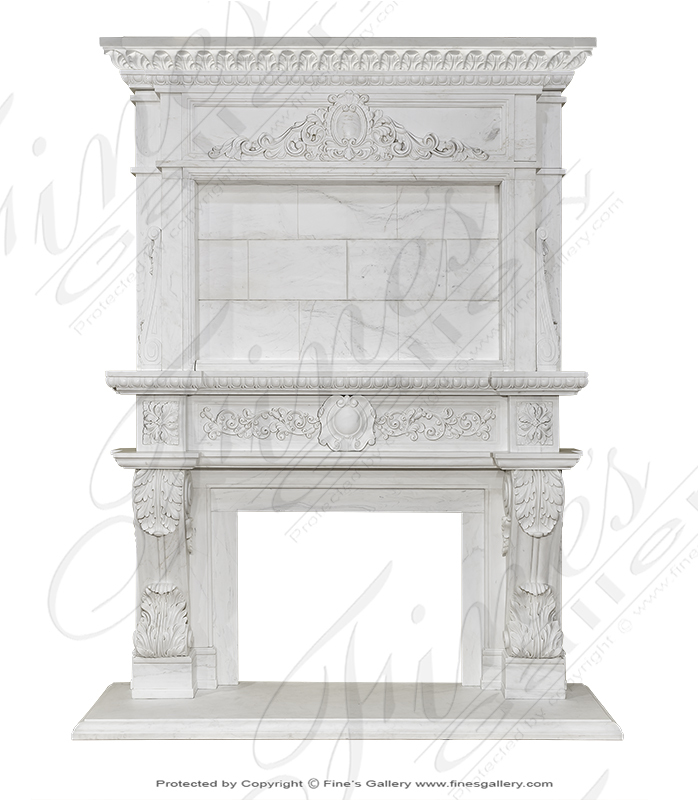 Classic White Overmantel carved from solid statuary white marble. The finial is decorated with accanthus leaf egg and dart detail. The center focal point is sized perfectly for a TV or can be left open for more traditional looks. 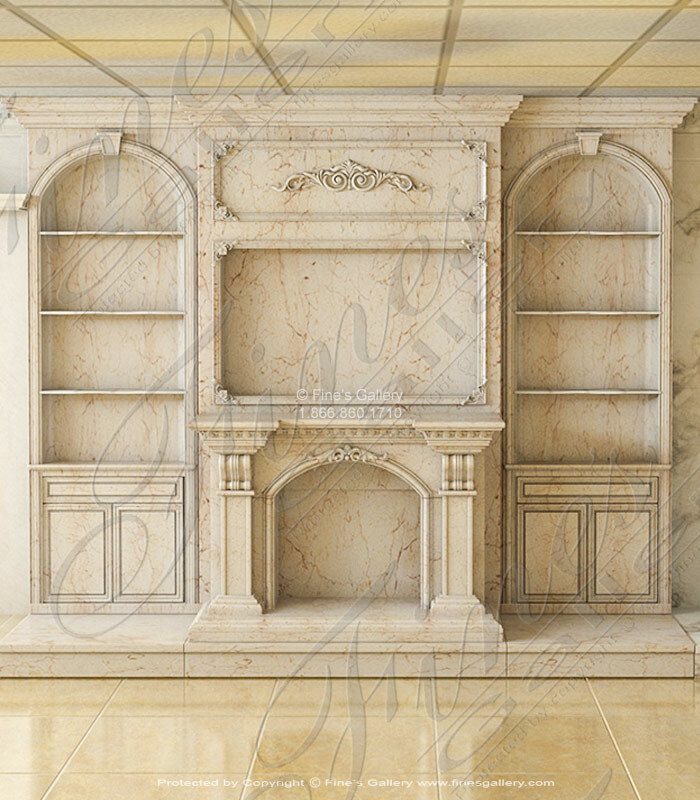 Estate Overmantel in Cream Marble. Italian Style Marble Fireplace Installation. 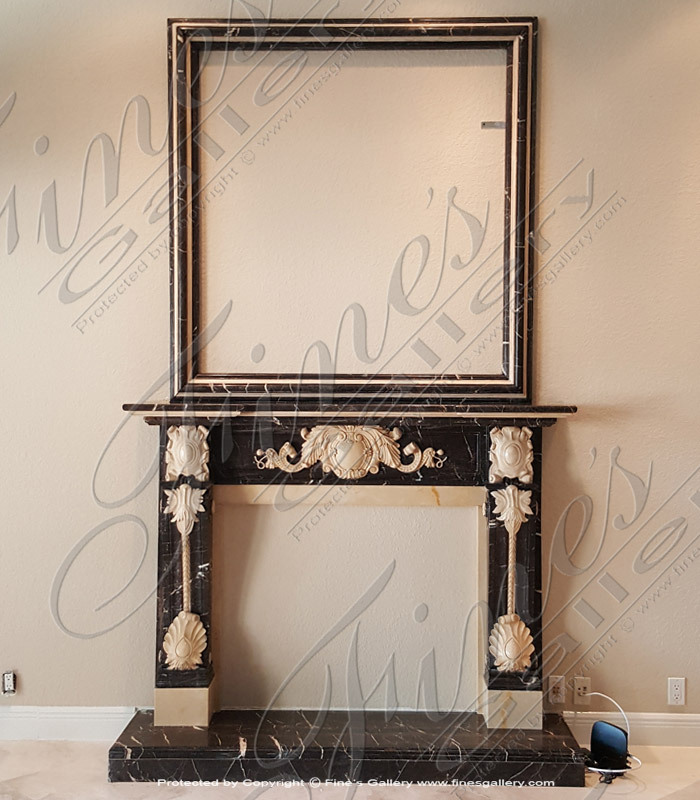 This luxurious black and cream marble fireplace installation features a beautiful black and white marble with classic hand carved detail. 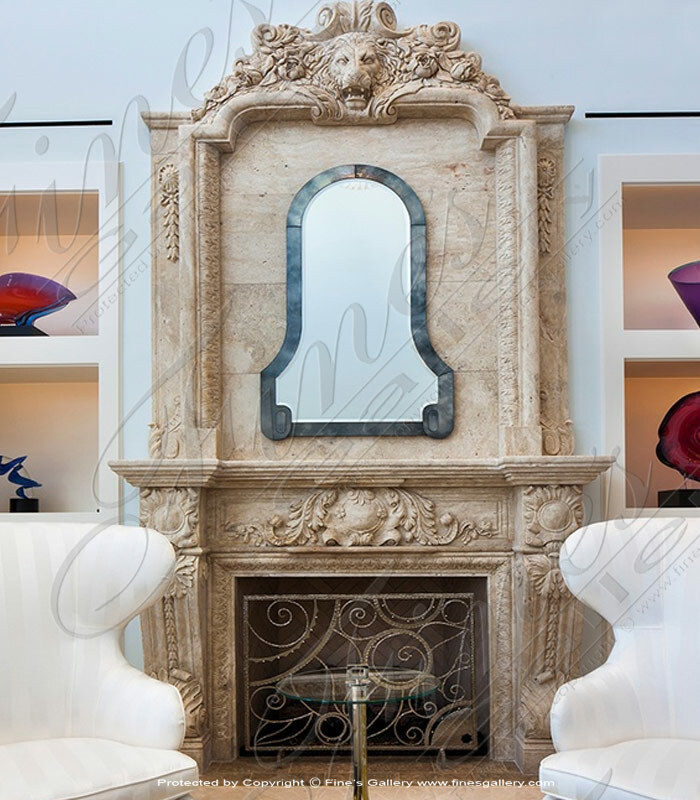 A matching marble mirror frame custom made for a South FL client. 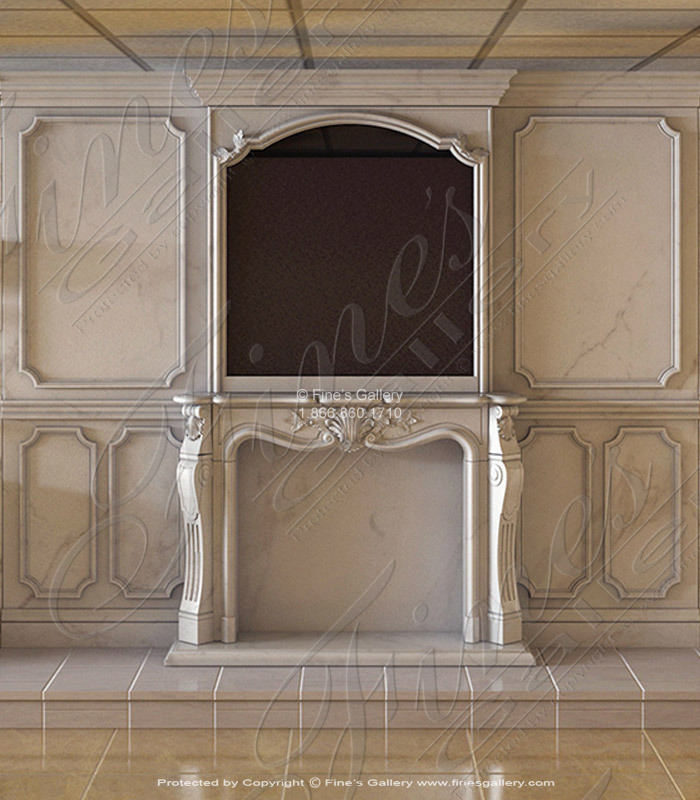 Carrara Marble Fireplace with TV Frame Overmantel, Cladding, Crown Molding, Corbels and Pedestals. Contact our United States Showroom in Bonita Springs, Florida. We have many years of experience designing from our customers blueprints. 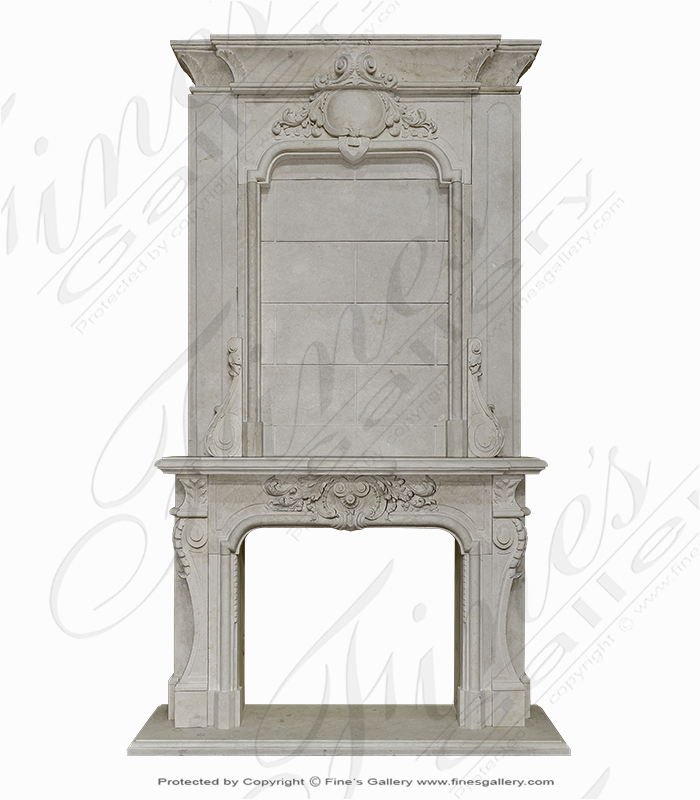 A stunning French Marble Mantel with Overmantel and Wainscotting. Contact our staff today to incorporate marble into your architectural plans today. 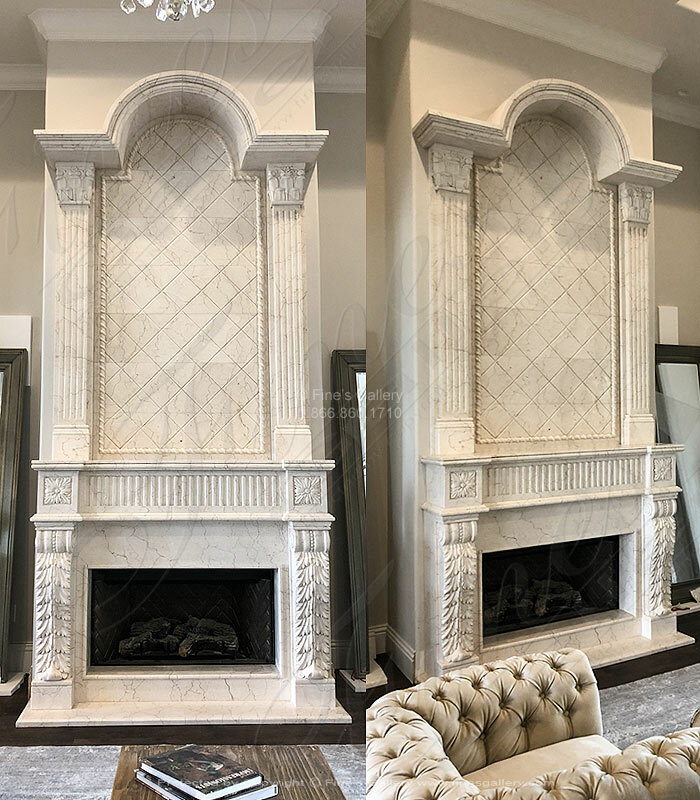 A custom designed Architectural Marble Fireplace Mantel, TV Surround and Bookcases all carved from rare imported Ivory Shell marble. 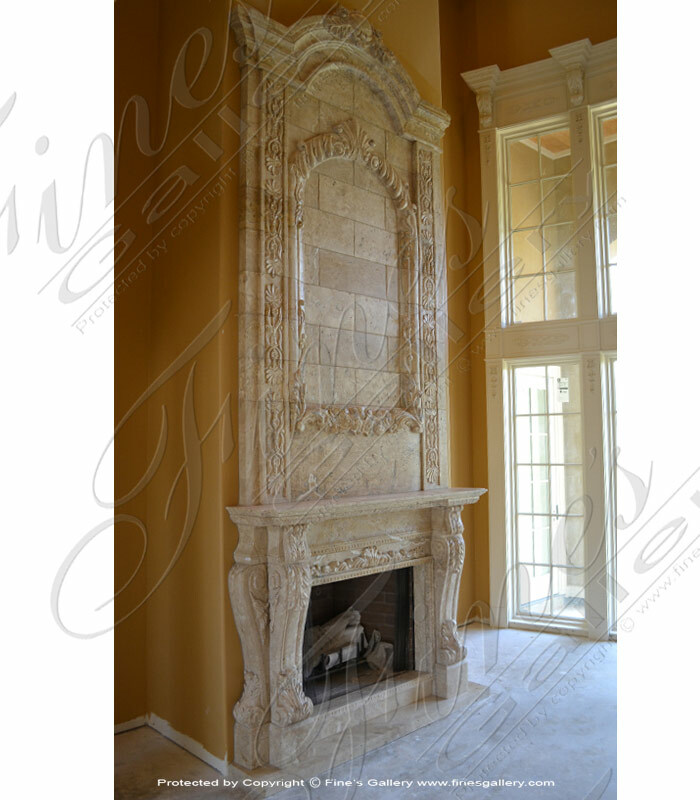 Custom Designed Marble Fireplace with Overmantel carved from a rare imported marble named ivory shell. A stunning light cream color with light contrasting veining.